Out of sight, out of mind, but rubbish really starts to cause trouble after it disappears from your pavement. Rotting waste chokes our landfills, degrading into dangerous gases and adding to everyone’s municipal bills. The more you know about waste and toxics, the more you will know what to dispose of where – and what to not keep anywhere. A little bit of time and a lot of knowledge will turn your home into a lean, mean recycling machine. They turned their waste into fertilizer for the garden and jobs for South Africans, while sparing municipal landfills and the atmosphere from the burden of their refuse. 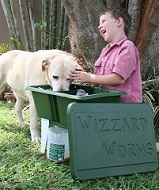 Most of the waste that used to go to the dump is separated for municipal recycling, the compost heap or the worm farm from Wizzard Worms. 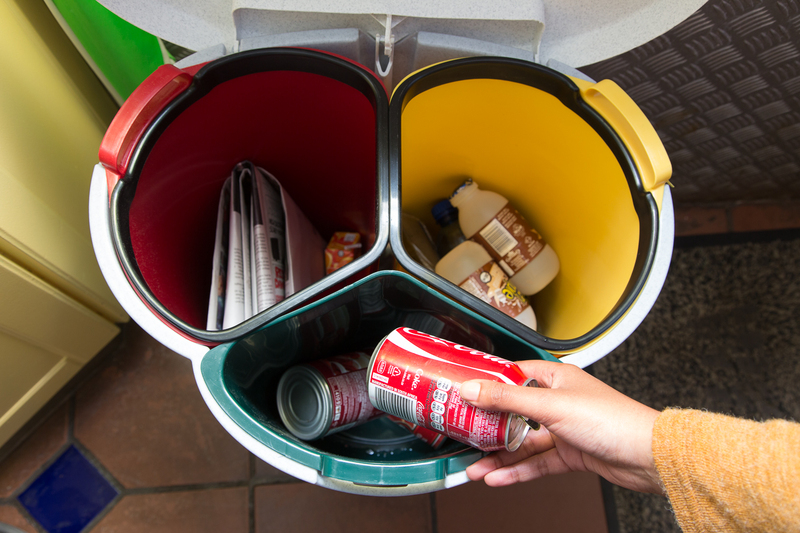 Postwink colour-coded bins in the kitchen handily keep recyclables and most kitchen scraps out of the rubbish. 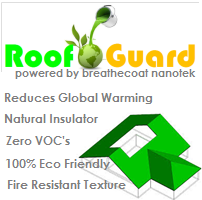 The family is also breathing easy in their newly painted house, knowing that the no-VOC paints on their walls from Breathecoat don’t contribute to asthma or smog. 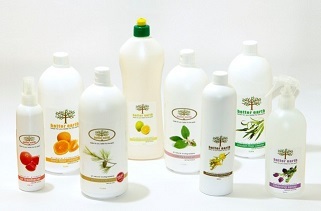 And they’ve switched to biodegradable, non-toxic cleaning products from EcoSmart and Better Earth. 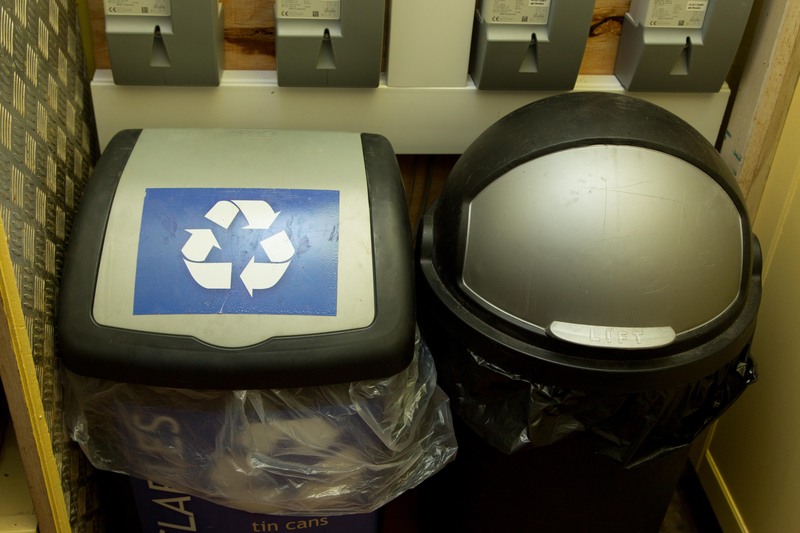 Recycling is nice, but it’s not the starting point in a green home. Take a look at the glass bottle: Recycling that bottle will save some energy and mining of raw materials. But the recycled glass still needs energy when re-melted at 1 500 degrees. Reusing a bottle is better. Refilling it with water or buying returnable cool-drink and beer bottles saves the manufacturing of a replacement bottle. Reducing is best. Drink a glass of tap water instead of a bottled drink and no packaging energy or raw materials are used at all to satisfy your thirst. That’s healthier for both the environment and for you! Some municipalities offer recycling bags for kerbside collection in some areas. Some communities have private businesses that will pick up your recyclables for a fee. But nearly all South African neighbourhoods have an army of informal recyclers working hard to process our waste. Give them all a hand. Valuable paper and corrugated cardboard becomes worthless if dirty. Separate them to place beside your bin. Putting aside plastic bottles, food tins and aluminium cans also spares hawkers from digging in your bin. Glass is usually too heavy for recyclers’ trolleys. Save it to take to a glass recycling bank. The list of unhealthy chemicals in cleaning products is very long, and few labels list every ingredient, but you can make a start at greening your cleaning with a few basic guidelines. First, only buy and use what you really need. Fabric softener and furniture spray for dusting are relatively easy to live without. Second, avoid a few common ingredients: ammonia (ammonium hydroxide), formaldehyde (or formalin) and bleach (sodium hypochlorite). Third, look for unscented and low-odour products; if it has a strong smell or fragrance, it’s better not to breathe it in. Fourth, avoid sprays, which increase the quantity of chemicals you can inhale. If you want more detailed information on chemicals in your cupboards, see this EWG Guide to Healthy Cleaning. One of the most dangerous myths about the environment is that it is better to send something biodegradable to a landfill than something that won’t decompose. That’s mostly a load of rubbish. Deep in a landfill, food and garden waste – especially grass clippings – break down into methane, a potent greenhouse gas. 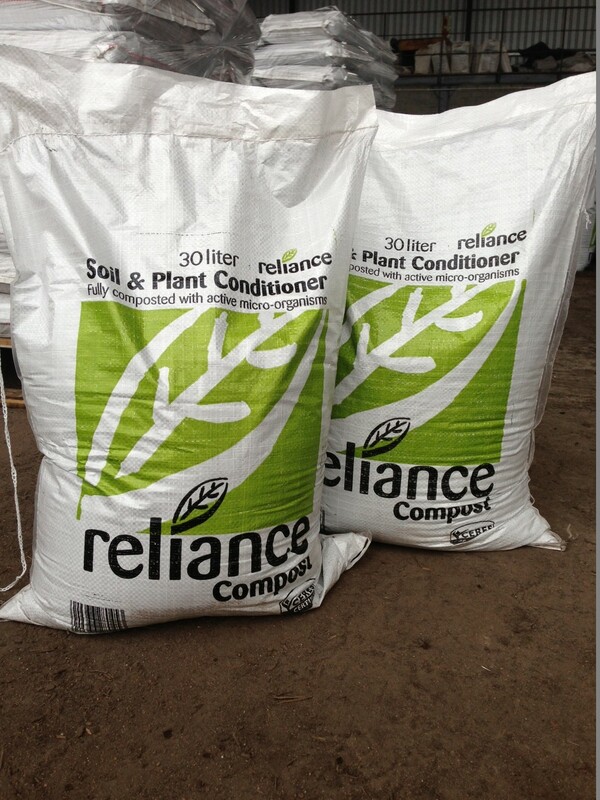 Composting at home or sending greens for municipal composting preserves both the climate and precious landfill space. 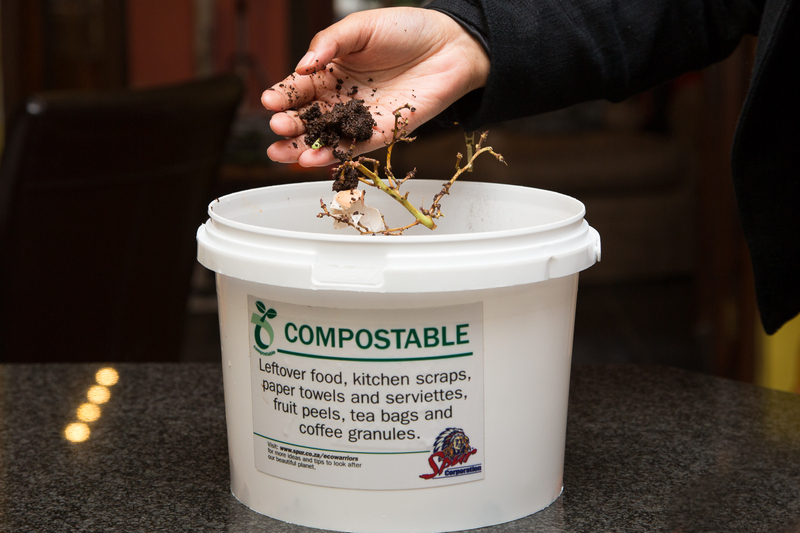 For composting kitchen scraps, worms are a nearly miraculous fertilizer manufacturers. ‘Worm farms’, usually special tray structures, cost about R1 000. The purest cleaning chemical of all is H2O, and a relatively new kind of cloth makes water an effective cleaner too. Microfibre cloths are made with fibres 100th the diameter of a human hair, split to make them grab hold of dust, oils and dirt better. The smoothest microfibre cloths, slightly dampened, can clean windows, TVs and PCs without any chemicals. Follow up with a dry microfibre cloth to polish. 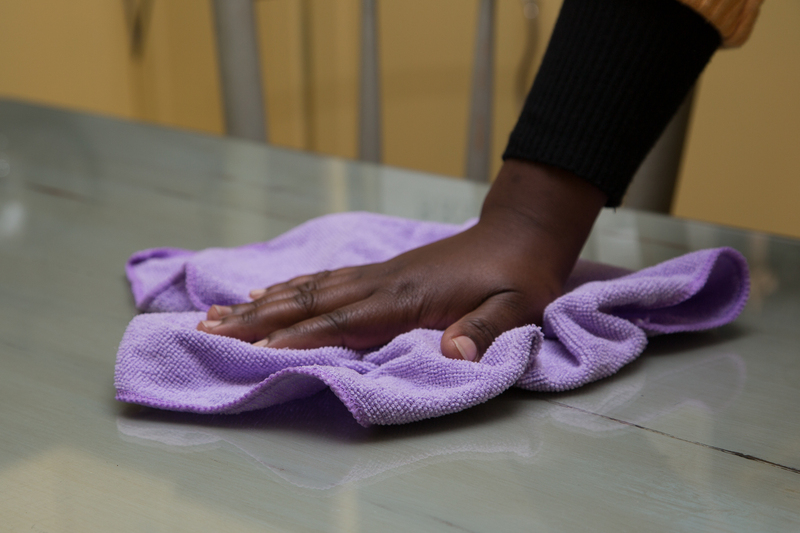 Microfibre mops and dusting cloths can reduce or eliminate the need for chemicals for most of your other household cleaning. They can be washed repeatedly, but not with fabric softener. Find them alongside dish cloths in most large shops. The ‘embodied’ energy that went into making the stuff in your cupboard may be even greater than the energy that goes into your geyser. Make sure that you buy only what you need and buy it for keeps. Look for quality in everything from fabrics to construction, for cellphones and PCs that can be easily upgraded and appliances from established brands that keep spare parts available. Every time you opt to repair rather than replace, you keep jobs in South Africa, resources in the ground and pollution out of the air. 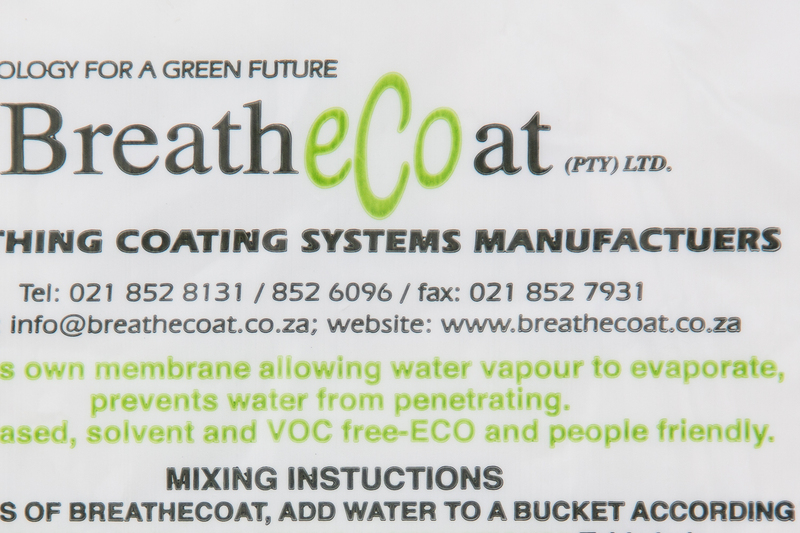 South Africa’s major cities pride themselves on excellent drinking water quality. Avoid bottled water which wastes energy, plastic, money, even water – as 3 litres are used for making each 1 litre bottled. If tap water taste causes you to buy bottled water, improve the taste at the tap. An activated-carbon filter can remove the chlorine taste and will quickly pay for itself as you stop buying water at the shops. The bottled water you buy may be only filtered tap water anyway. This Mondi-sponsored tool will tell you whether you have kerbside recycling and how to take advantage of it. In addition, you can locate charities and schools near your home that collect paper to raise funds. 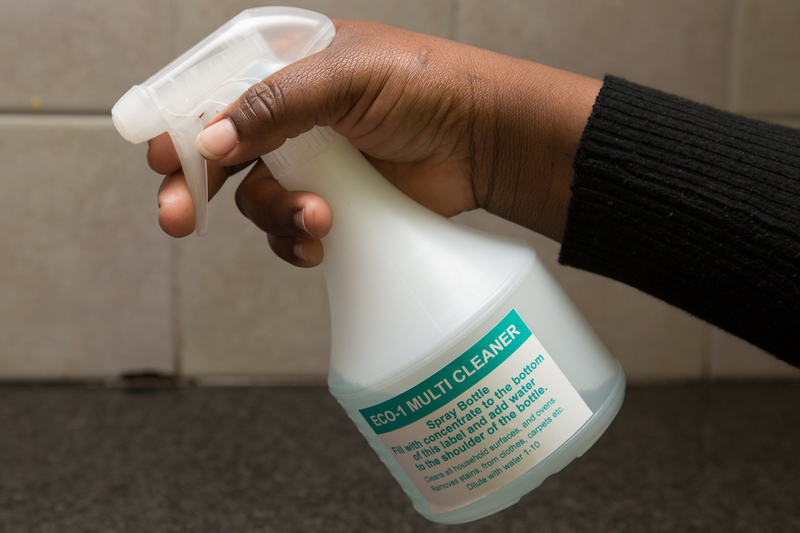 The Washington Toxics Coalition offers concise advice on safe cleaning that is as relevant in South Africa as it is in the United States. The National Recycling Forum (NRF) is a non-profit organisation created to promote the recovery and recycling of recyclable materials in South Africa. If you’re not sure where to take your glass for recycling, enter your suburb on the Glass Recycling Company’s Find a Glass Bank tool to get directions.